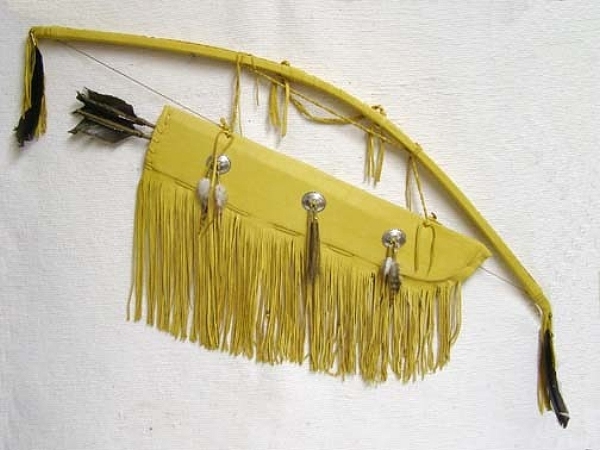 This large WARRIOR’S BOW with QUIVER comes with 2 hand made bone tipped arrows. 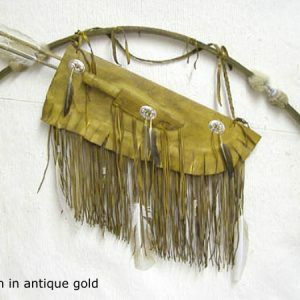 This set measures about 50 inches in length & is completely wrapped in genuine buckskin leather. 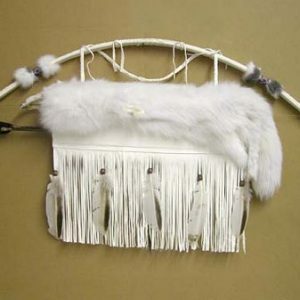 The quiver is decorated with metal conchas, feathers, fringe & horse hair. 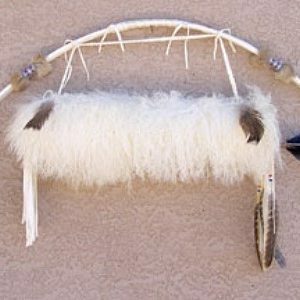 Horase hair signifies good luck for Native Americans. It also has a tough braided leather strap. 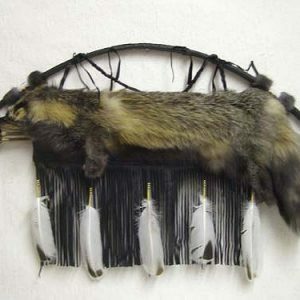 It comes in a variety of colors which may or may not always be in stock. ( Shown here in gold.) Please select your color choice before adding item to cart & a second color choice in the comments box during checkout.